Money and ticket counters remain an important piece of equipment for gaming halls everywhere, particularly those that use virtual game machines for slots and blackjack. Even when gaming machines change, these counters can adjust to the tickets they receive from any game, assuring customers accurately receive the cash they won. Whenever a casino updates its entertainment offerings, it shouldn't worry about having to upgrade equipment at the cash desk as well. With ticket-in, ticket-out technology, an industry standard in conjunction with universal barcode scanning, casinos have a reliable way to streamline back-office operations that works no matter what games come and go through the years. Casino management systems are often the nerve center of a gaming hall's operations. 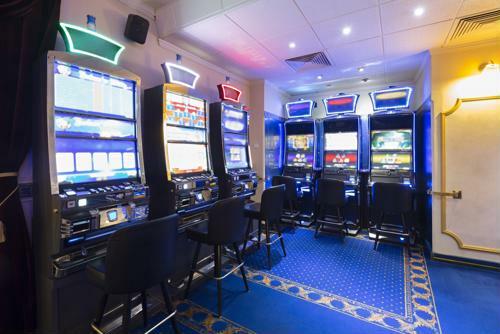 They manage how slots and video-based gaming machines function. Their goal is to allow a certain level of victory to ensure customers keep paying to play while keeping frequency of winning small enough to make a daily profit. New casinos need to incorporate these systems as part of their infrastructure. The latest casino under construction in Arizona, Desert Diamond Casino-West Valley, just confirmed a deal with Konami Gaming to use the vendor's SYNKROS gaming enterprise management suite in its operations, according to Casino Journal. The new hall, near Glendale, will feature at least 1,050 gaming machines. To some people, Konami rings a bell. That's because the company was more famously known as a video game developer and publishing until just a few years ago. The company's prominence in that field earned a place in popular culture due to several successful franchises such as Metal Gear and Silent Hill. The company entered the gambling business in 2005 with its purchase of Hudson Soft but only recently began an expansion of its footprint in the field. It comes as the company wound down its video game operations over the last two years; the newly-released Metal Gear Solid V is its last published game for the foreseeable future. The company looks to change into a business of many holdings and become primarily focused in casino operations. As Konami's efforts suggest, gaming vendors can change significantly over time, especially in terms of front-of- and back-of-house operational capacity. A casino should pay attention to these developments, but it's always good to have equipment to fall back on that doesn't need an update. Money and ticket counters represent that by using standard technologies that don't need constant upgrades. Even if the games change, the means to win stay the same.